Begyle Brewing, Chef Cleetus Friedman and the Garden are launching a series of seasonal, small-batch saisons—Change of Saisons. The beer captures the best flavors of the season. Chef Cleetus Friedman has had a long relationship with the Chicago Botanic Garden. You may know him as the executive chef of Fountainhead, the Bar on Buena, and the Northman, soon to open in Chicago. Perhaps you have enjoyed his appearances at the Garden Chef Series, where he teaches visitors to prepare local, seasonal recipes at the open-air amphitheater of the Regenstein Fruit & Vegetable Garden. 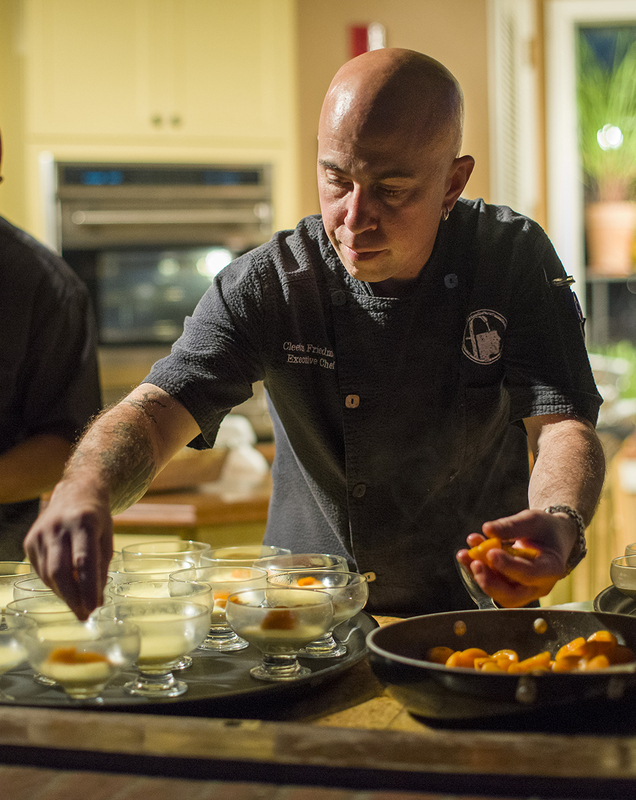 If you are lucky, you have experienced one of our Farm Dinners over the past six years, where Chef Friedman dreams up memorable meals with local food and drink for guests to enjoy in a garden setting. Chef Cleetus Friedman of Fountainhead and the Bar on Buena! Together with Begyle Brewing, a community-supported brewery in the Ravenswood neighborhood of Chicago, Chef Friedman and the Garden are launching a series of seasonal, small-batch saisons—Change of Saisons. The beer will capture the best flavors of the season at the Garden, beginning with a strawberry rhubarb saison, sourced this spring. The team worked fast to bring this brew right back to the Garden for visitors to enjoy. The small batch of strawberry rhubarb saison will be followed by a berry-based saison and each will be available for only a limited time. “It’s a versatile beer for everyone coming to the Garden,” said Chef Friedman. 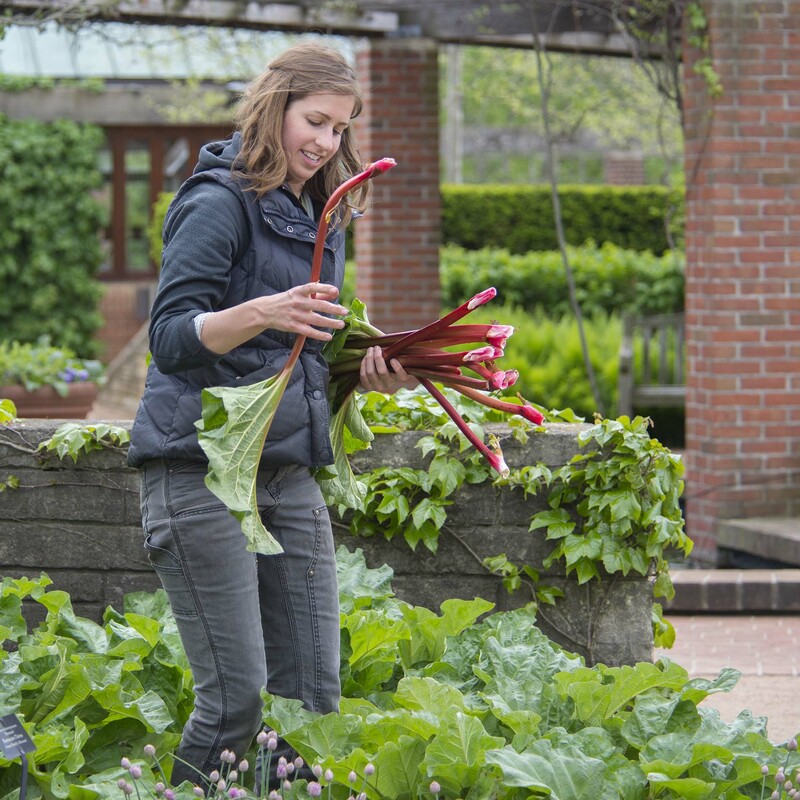 On May 21, Laura Erickson, market manager of Windy City Harvest, harvested rhubarb from the Regenstein Fruit & Vegetable Garden. Chef Friedman cooked it down to make a puree to use in the brew. Change of Saisons is available on tap (while supplies last) at the Garden Grille on the Garden View Café deck. You may also sip saison at Autumn Brews on Thursday, October 8, 2015.